One of the rarest variants of Colton's Arctic map. Colton, G.W. 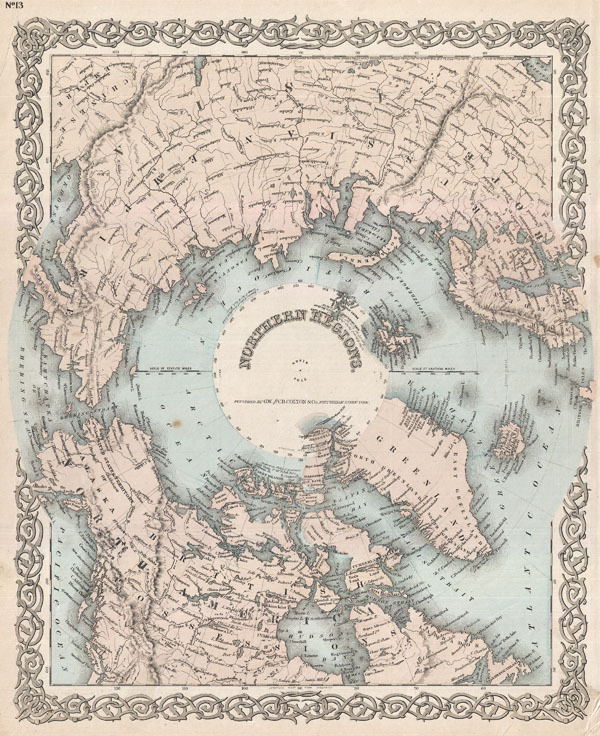 & C.B., Colton's Atlas Of The World, Illustrating Physical And Political Geography., (1872 editon). Very good condition. Some minor repairs and creasing to outer margins. Text on verso. Else clean.